I remember being 18 once, faced with the daunting choice of where to go for college, a choice that I had worked countless hours to earn. With all my options before me, I remember feeling lost, confused, and overwhelmed. Could I live in freezing weather? What was the difference between majoring in Business Administration and Business Economics? 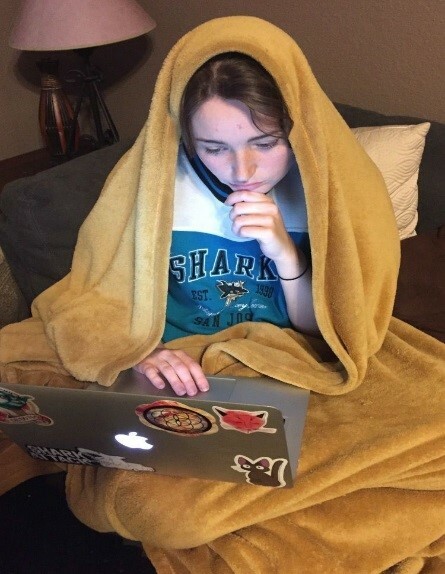 How would bell curves and grade inflation affect me? One thing that I thought I knew having lived in Irvine was that I didn’t want to go to college in my own backyard. I thought I could find more opportunities to grow and learn in a new setting, an unfamiliar place where I could explore new roads, find new adventures, and meet new people. In all honesty, I remember registering for Honors Experience Day, the annual introduction to the Campuswide Honors Program for prospective students, more as an excuse to miss a couple high school classes. 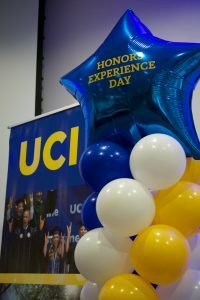 At Honors Experience Day, however, my opinion of UCI changed in ways that I never expected. The amount of attentiveness and consideration shown to me that day—from volunteers, counselors, and faculty, all of whom addressed me by name in conversations—left me with the impression that I would not be just another number at a large public university. Touring the campus and learning more about its resources and opportunities, I also came to realize how many doors UCI and the CHP would open for me. Even living in the same city for so many years, I had no idea that the sprawling campus was so student friendly or that UCI was ranked first among universities under fifty years old. Returning home from Honors Experience Day, I found myself reevaluating my assumptions and thoughts. 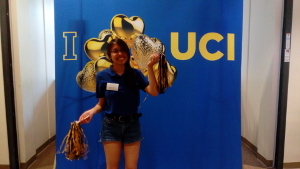 After a couple nights’ rest, I made a decision that was somewhat surprising to me—to attend UCI and be part of the Campuswide Honors Program. Every single day since, I have woken up knowing that I made the right choice in going to UCI. In my time here I have enjoyed the resources of a large research university while receiving individualized attention. Indeed, I have been able to take classes from renowned professors across many fields, something only possible at a large public research institution. I have also greatly benefited from meeting with dedicated honors counselors who are genuinely invested in your future. 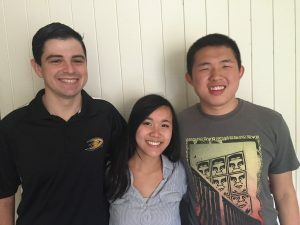 At UCI I have leveraged resources available to me to successfully earn two internships, participate in countless volunteer opportunities on and off campus, and even land a job at a leading technology company. Most of all I have found a support system that never fails. From staff members to peers, those in CHP have always stood by my side, pulling me back up when I stumbled and cheering me on when I reached new heights. Through the CHP, I’ve also met my closest friends who share my passions, understand my vision, and challenge me to adapt new perspectives. To me, being in the CHP is so much more than just a distinction or a line written on a resume. 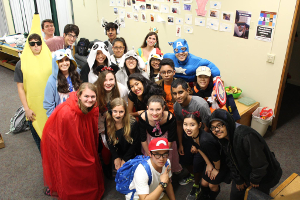 Rather the Campuswide Honors Program is a family away from home—even if home is just 5.2 miles away.